We promote continual improvement of our quality management process in the pursuit of high levels of safety of life, property, and protection of the maritime environment. 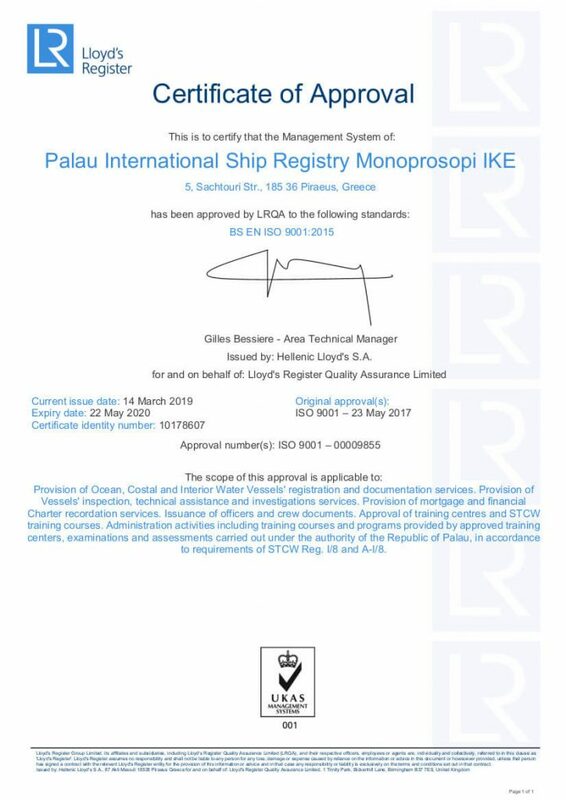 PISR has been approved by Lloyd’s Register Quality Assurance Ltd (LRQA) to the standards of ISO 9001:2015. 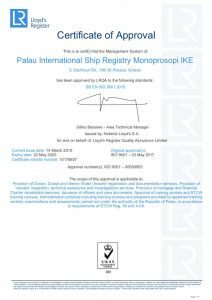 It is the policy of Palau International Ship Registry to Provide services that meet or exceed the customer expectation with a quality which is continuously perfected through the documented quality management system of the company and establishment of measurable quality objectives. 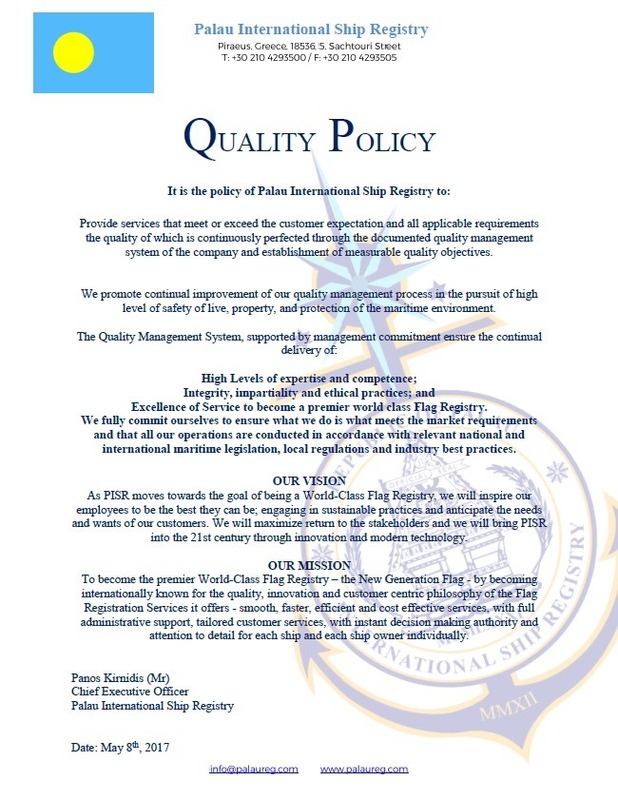 We promote continual improvement of our quality management process in the pursuit of high level of safety of life, property, and protection of the maritime environment. Our Quality Management System ensures the continual delivery of high levels of expertise and competence; integrity, impartiality and ethical practices and a commitment to become a premier world class Flag Registry. All our operations are conducted in accordance with relevant national and international maritime legislation, local regulations and industry best practices.